In this post, I’ll tell you about 5 reasons to visit Hallstatt – probably the most beautiful village in Austria. Hallstatt became famous quite recently, maybe just 4 or 5 years ago. Before it used to be a quiet town, where locals would go in summer as well as some occasional tourists, exploring the gems of Austria. When I first went to Austria in 2008 as part of my school exchange, I stayed 2 weeks in the second biggest city of Austria, Graz and nobody ever mentioned Hallstatt to me. Well, there was no Instagram back then and the blogs weren’t yet on the rise, so Hallstatt wasn’t yet that popular. I started hearing a lot about Hallstatt 3 years ago when some of my friends went to Austria and visited Hallstatt as part of their trip. 3 years ago it was already quite crowded, but every year it gets more and more popular and attracts more people, despite the fact, that the location of the village is far from being convenient. Yes, Hallstatt is located pretty far away from any relatively big city in Austria, and it takes 3.5 hours to get there from Vienna or 1.5 hours from Salzburg. And still, plenty of people are rushing to visit it (especially, Asians, now half of the adverts are written in Chinese. Also, there is a copy of Hallstatt in China now). 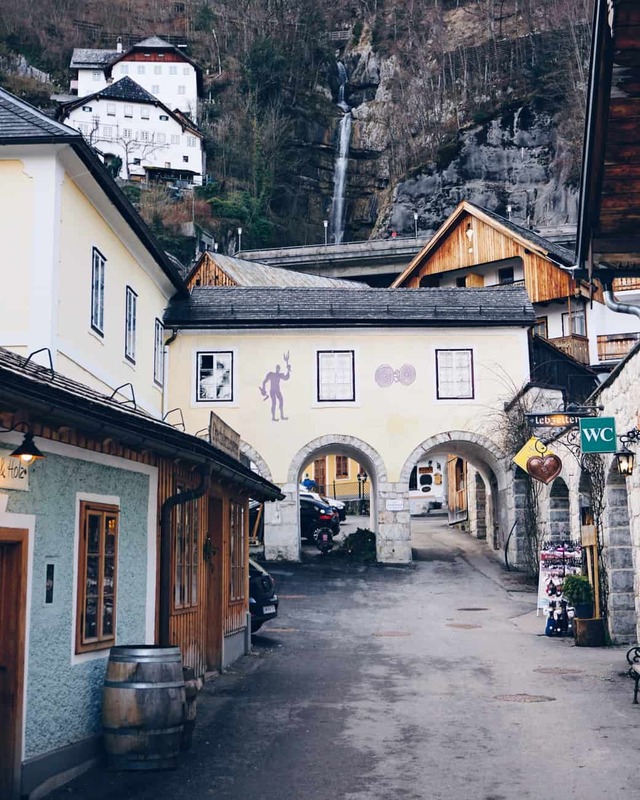 We visited Hallstatt in March during our road trip around Europe (read more about it) and we actually liked it a lot. Hallstatt in March (and generally in early Spring) has a mild weather and the mountains are still covered by snow, so the view very beautiful. Actually, I liked photos of Hallstatt in Spring way more than Hallstatt in Summer. 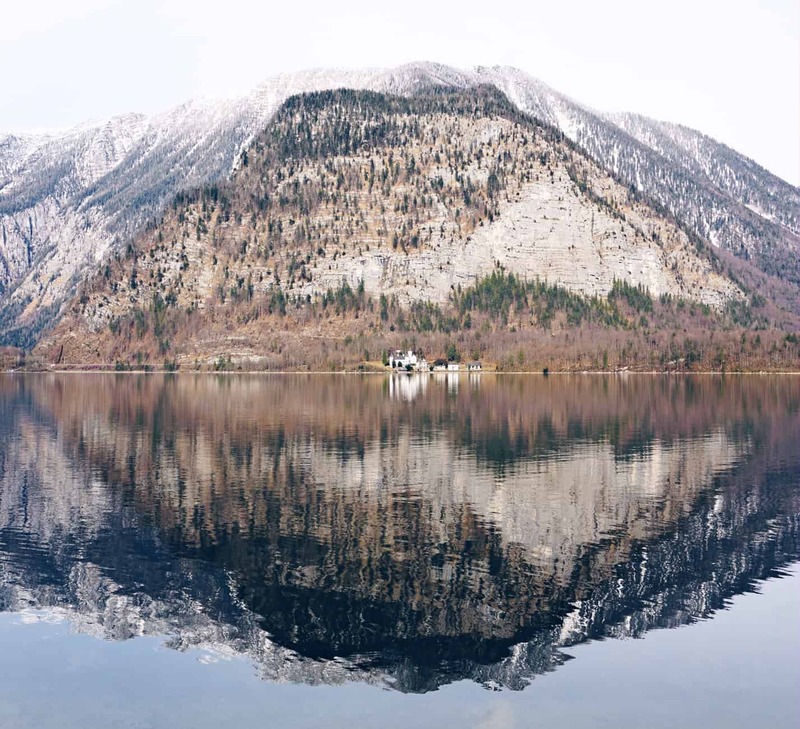 It’s not a secret, that Hallstatt is located on a lake, which looks like a mirror (when it’s not windy). You can also have a ride in a small ship around the lake and enjoy the beautiful views (and escape the crowds at least for an hour). In case you’re staying in Hallstatt for a couple of days, you can go for a walk around the lake and see beautiful Hallstatt from a different perspective. How fabulous is this reflection? Hallstatt is all about strolling and walking around, visiting the traditional shops, buying souvenirs. It’s also about chilling in the beer gardens drinking tasty Austrian tap beer and pastries. Hallstatt is really small, and you can see the entire city in a couple of hours. You can visit the beautiful churches of Hallstatt and visit one of the most beautiful cemeteries, located almost on top of the city (the entrance is through the church). This is definitely the cemetery with the best view, I’ve ever seen. If you’re curious, how much time is enough for Hallstatt, I would say 3-4 hours. However, if you want to see the region properly, you can stay there for a couple of days. Look for the hotels in Hallstatt here. Hallstatt became rich in Austria few hundreds of years ago because of its salt mines (just like Berchtesgaden). Hallstatt has the oldest salt mine in the world and it’s definitely worth visiting. The visit includes even a train ride inside the salt mine, so it’s definitely worth 26+ euros paid for the attraction. Is Austria a wonderful place for hiking? So why not take advantage of it and look for the best hikes around Hallstatt? The most comprehensive list of hikes in the neighbourhood I found here. 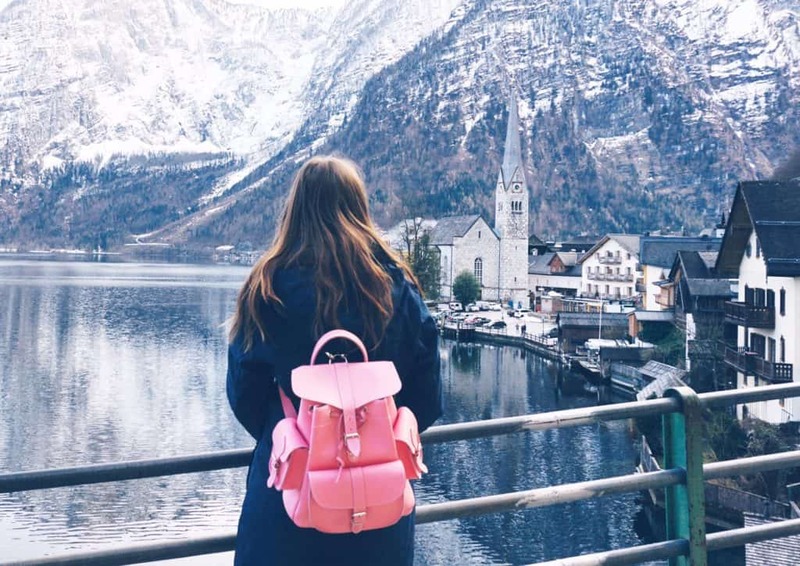 The last of the 5 reasons to visit Hallstatt is actually the easiness, with which you could rent a national Austrian costume – Dirndl (for girls)! In case you want some pretty great photos, why not to rent one and walk around the lake in it. Buying one could be quite expensive (more than 100 euros), so renting could be a good option. Looking for a place to stay near Hallstatt? These hotels look great: Ferienhaus Salzberg, W & S Executive apartments and Seehotel Grüner Baum. What’s the best time to go to Hallstatt? Well, as I already told you above, we went to Hallstatt in March. However, I would say that Autumn in Hallstatt is also very beautiful (and also Spring in Hallstatt is amazing, but well, March is a part of Spring, isn’t it?). Why not visit Berchtesgaden and Bad Reichenhall in Germany, if you’re staying in Hallstatt for a couple of days or so? You won’t be disappointed! 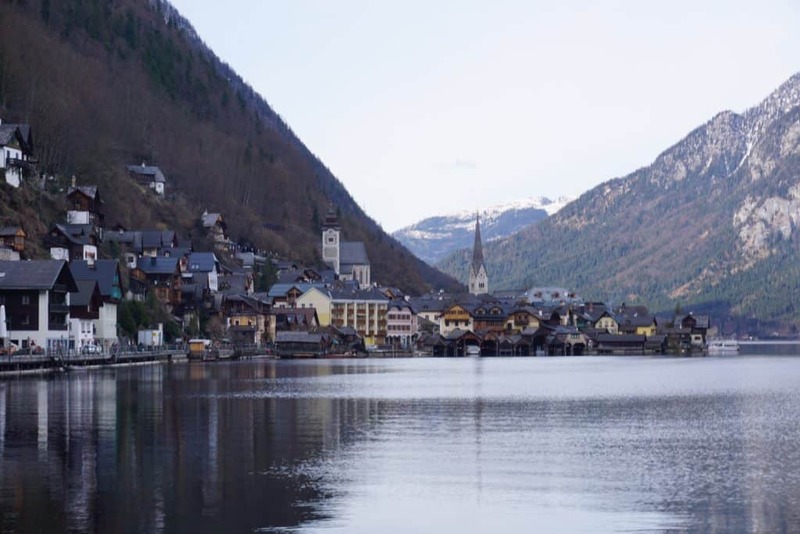 Liked this post about 5 reasons to visit Hallstatt – the most beautiful village in Austria? Share it on Social Media. P.S. : Here’s a short video of Hallstatt for you. I definitely agree with you 🙂 I hope to visit it again too! I so love small towns and have now added this to my list! Very picturesque and that view! Wow! Thanks for sharing as I’d never heard of it before. Do you have any restaurant recommendations? Lovely. Would 2 nights here be good enough? What are the trains here that will take you back to Vienna? Or would you advise the bus?